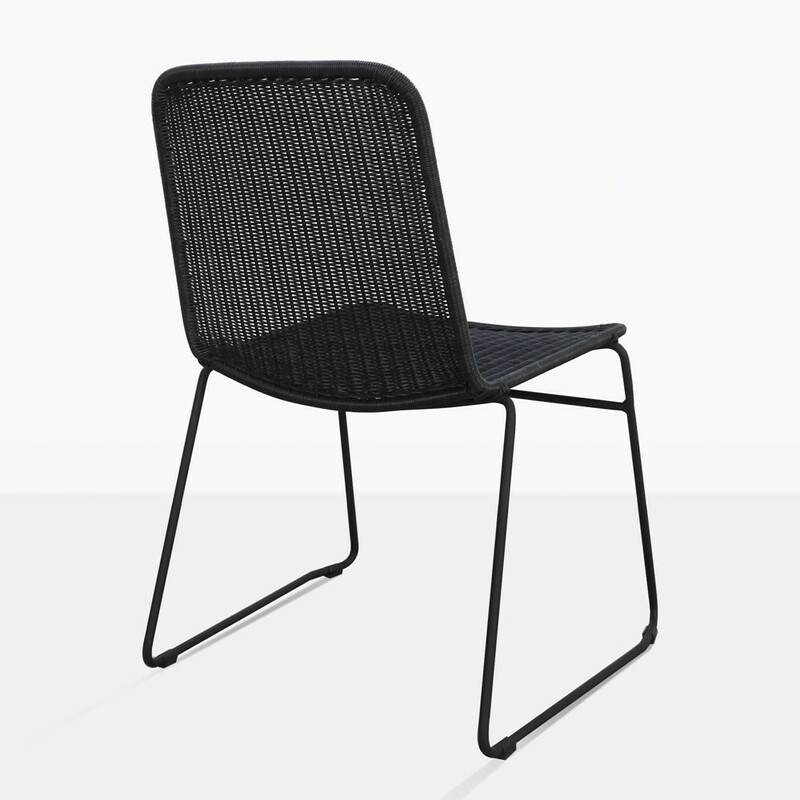 The Olivia Dining Side Chair is contemporary and sleek with a simple frame, yet an intricate wicker weave. It will smoothly glide under your favorite dining table to create a sharp looking outdoor set. 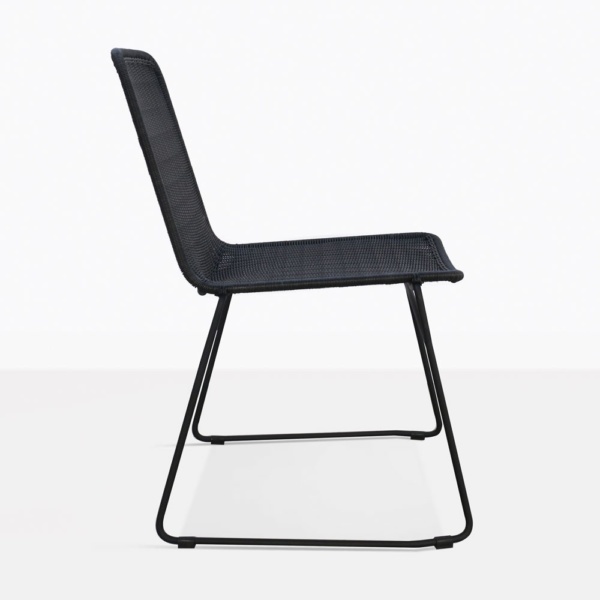 The frame is constructed with a powder-coated steel frame with a black matte finish. The Olivia Dining Chair is perfect for residential spaces or commercial spaces. It has a versatile style that can be used in a modern setting with a raw concrete table, or with pair it with a teak table for a more traditional look. 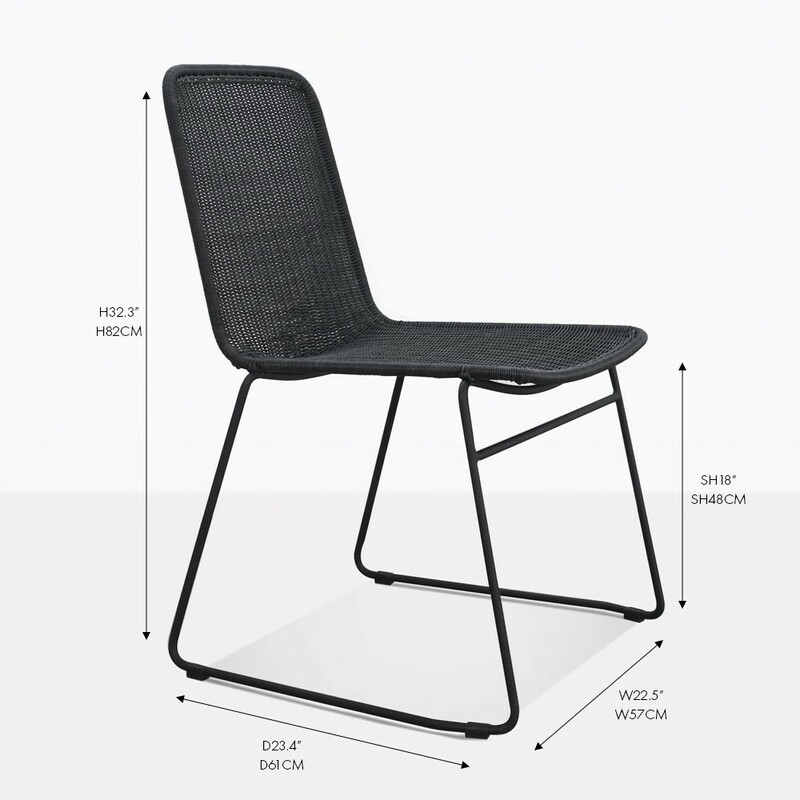 The slim frame allows you to add more chairs around a table for extra seating which is always a benefit. 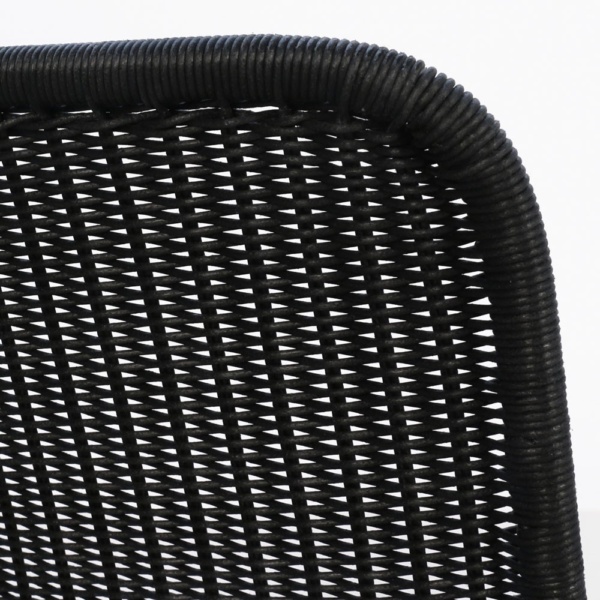 Choose your favorite dining table and create a set that will fit your space! To get started please call or email us today! W22.5" x D23.4" x H32.3"